On March 3, 2017, Health Level Seven International and the Duteau Design Inc. team of Jean Duteau, Joginder Madra, Helen Stevens, and Lisa Nelson published the Companion Guide to Consolidated Clinical Document Architecture (C-CDA) 2.1. This companion guide is a supplement to HL7's CDA R2 Implementation Guide (IG): C-CDA Templates for Clinical Notes STU Release 2.1. Health Level Seven® International (HL7®), the global authority for interoperability in healthcare information technology with members in 55 countries, today announced that the HL7 FHIR Foundation is now working with Google to support HL7’s Fast Healthcare Interoperability Resources (FHIR) standard and the FHIR community using Google Cloud Platform. Congratulations to the HL7 Leaders Named to Health Data Management's "20 People to Watch in Healthcare IT in 2017"
The health IT industry publication Health Data Management released its list of the health leaders they expect to make large contributions to the discussion on HIT and provide guidance on where the industry needs to go in "20 People to Watch in Healthcare IT in 2017." 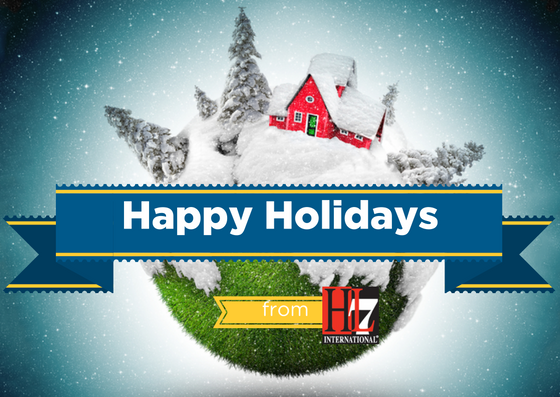 From our family to yours, Health Level Seven International wishes you a happy holiday season. We would like to take this opportunity to thank our members, business partners and colleagues who have donated their time and expertise to help HL7 achieve its mission to empower global health data interoperability. We cannot continue this important work without the support of the health IT community. With its world-class education, ever-expanding exhibition and exceptional networking opportunities, no other event brings the brightest minds in health and IT together like HIMSS17. More than 40,000 health and IT professionals are expected to attend to explore creative solutions to real-world challenges in Orlando, Florida at the Orange County Convention Center. HL7 is proud to support this annual event that helps health IT professionals find the right products and solutions for their organizations so that they can continue to transform health and lives through IT. Is HL7 FHIR the Digital Health Invention Best Poised to Make the Largest Contribution to Society? Each year 50 of the leading entrepreneurs, investors, technologists, reporters, and providers dedicated to bringing technological advancements to healthcare are recognized at the Top 50 in Digital Health dinner hosted by Rock Health, Fenwick & West, Goldman Sachs, and Square 1 Bank.